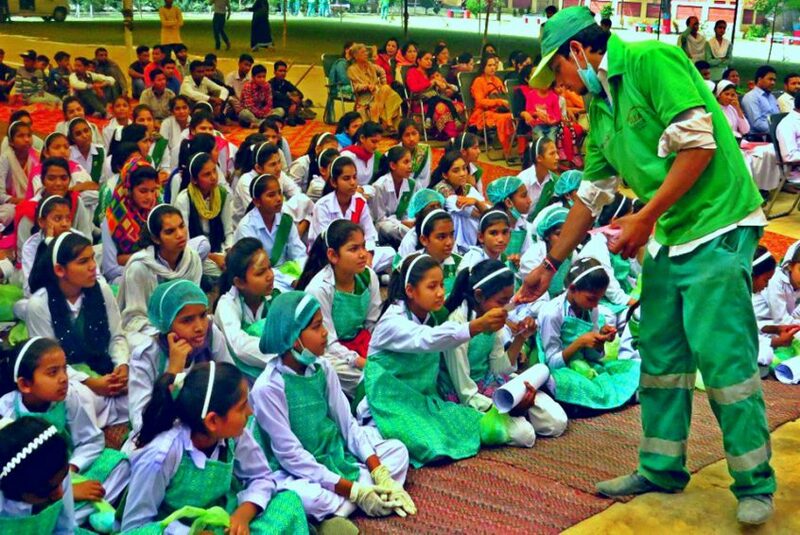 Lahore: Albayrak Waste Management in collaboration with Caritas Pakistan arranged an awareness program regarding World Water Day on Saturday in St. John’s Girls High School, Youhanabad. The program was aimed to sensitize the students about water conservation and its careful usage. Albayrak team delivered lecture to the students underlining the importance of cleanliness and conserving water and the need to use it sustainably. The team added that the citizens should make serious efforts to save water for the next generations. The students of the school presented puppet show and tablo on the theme of cleanliness. An awareness camp was also established where awareness literature was displayed. The students signed resolution cards taking oath to keep their surroundings waste free. Later, Albayrak team, students, school administration took part in the awareness drive. To ensure cleanliness within the premises of the school, a cleanup operation was carried out in which the students also participated. Officials of Caritas Pakistan and public representatives were also present on the occasion. A prayer ceremony regarding Palm Sunday was arranged at the end of the event in which Christian community prayed for country’s peace and prosperity.